One of the strongest strains of cannabis seeds you can buy is White Widow Auto-Fem. 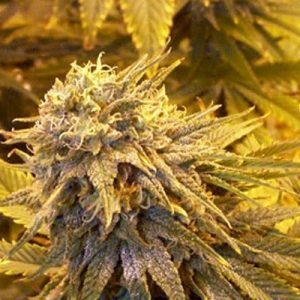 It is often grown commercially but you can also buy White Widow Auto-Fem from us and grow your own plants. You can do so with confidence as our seed bank is well known for great value with price and quality. These cannabis seeds have won many awards and they are used by consumers all over the world! The high level of THC makes White Widow Auto-Fem seeds are extremely popular. Each plant also offers a generous amount of resin on the buds. When you use White Widow Auto-Fem, you will feel very relaxed and you will have a great improvement to your mood. The taste and smell is a mix of pine and citrus. 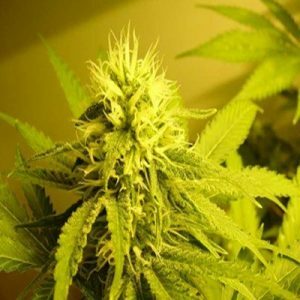 White Widow Auto-Fem marijuana seeds are going to offer you a plant that is sturdy and medium height. It is easy to grow because these plants aren’t vulnerable to pests or disease like many other strains are. You aren’t going to regret it when you buy White Widow Auto-Fem seeds from us!